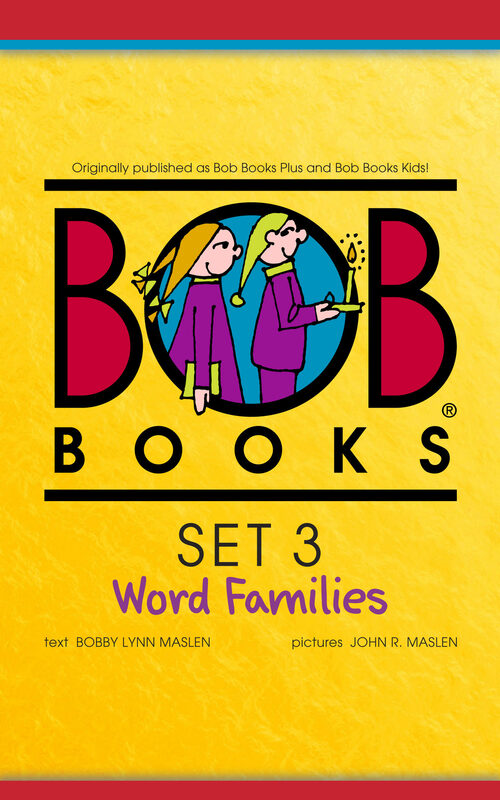 Bob Books Set 3 adds something new for young readers. Consonant blends gently introduce new concepts to the progressing reader. Consistent vowel sounds and lots of three-letter-word practice mean your child continues to enjoy reading success.In addition to eight story books, two Activity Books are included, designed to entice youngsters to read, write, and solve puzzles.Inside this eBook you'll find:- 10 easy-to-read books, 16 pages each- Many three letter words- An introduction to four and five letter words (one syllable)- An introduction to two syllable words - Can be "sounded out" (phonics based)- Limited sight words- 25 to 40 words per book. Otros ebooks de Bobby Lynn Maslen.